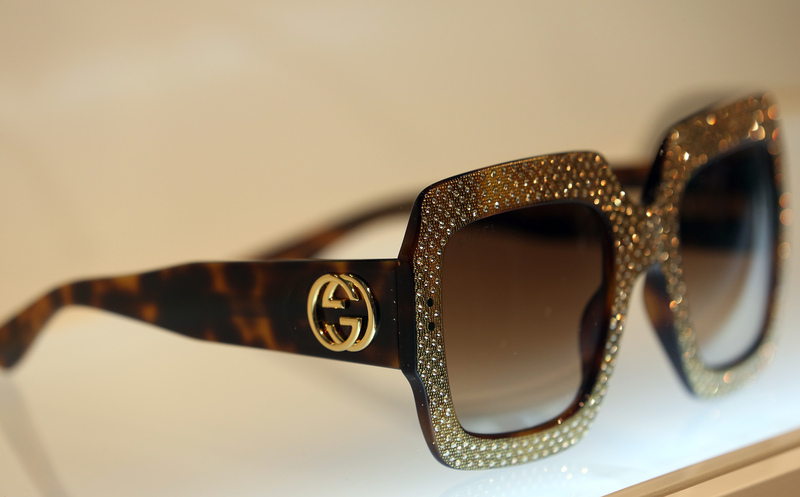 Authorities are seeking 1.4 bln euros of back taxes from the French-based owner of Gucci. That’s 60 percent of the company’s total bill between 2011 and 2017. Italy may have a case for questioning activity from Kering’s Swiss logistics unit. Yet the claim looks too big. Gucci's sunglasses are seen at the Mido exhibition for glasses and eyewear products in Milan, Italy, February 29, 2016. Kering said on Jan. 25 it was facing a tax claim for 1.4 billion euros from the Italian authorities, adding it contested the grounds and amount of the preliminary findings. Italian tax authorities opened an investigation into the French-based owner of Gucci in 2017. A tax audit delivered to Kering on Jan. 25 and covering the period from 2011 to 2017 alleges that Swiss-based logistics platform Luxury Goods International conducted business activities in Italy which should have resulted in the payment of Italian corporate taxes. Italy’s revenue agency has yet to make a final decision, Kering said in a statement. Kering shares were down 0.7 percent to 418 euros at 1015 GMT on Jan. 28.